Situated on the top floor of Kelsey Kerridge Sports Centre overlooking Parker’s Piece; users are able to work out looking out onto one of the best view in Cambridge. 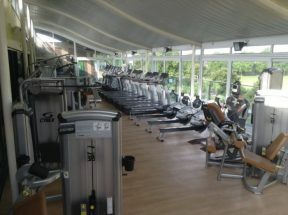 The fully air conditioned, glass fronted gym contains a full range of cardiovascular equipment and IFI (Inclusive Fitness Initiative) accredited equipment from Cybex; including treadmills, cross trainers, Arc trainers, rowers, bikes & steppers (including a Stairmill), plus a full range of resistance weights machines, free weights and VibroGym. No induction is required before using Outlooks Gyms as there are experienced professional staff in attendance at all times to help with equipment and to offer training and nutritional advice. NEW Functional Fitness Area now available. 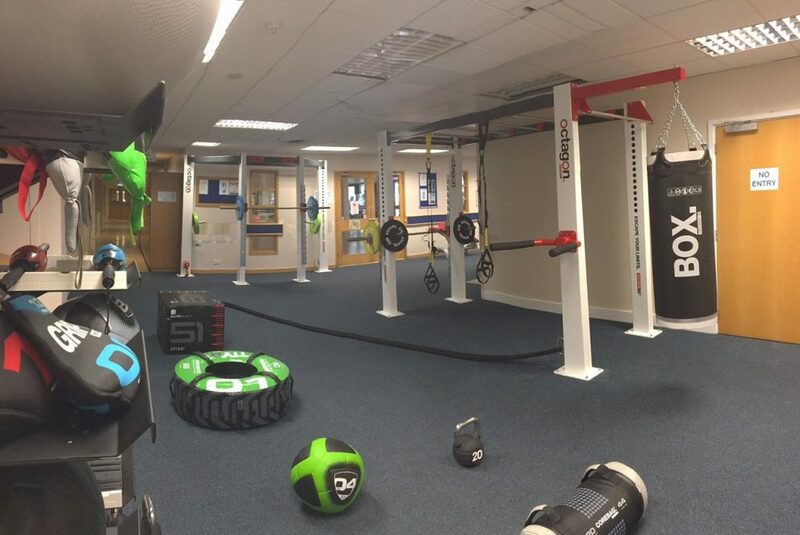 Consisting of punchbags, battle ropes, squat racks, kettlebells, TRX, core bags, chin up and dip attachments and much more. Outlooks Gym is bigger and better than ever before! After training, users have the opportunity to relax in our Sauna & Roof Terrace Hot Tub. With payment methods to suit all budgets, Outlooks Gym is the ideal place to combine regular exercise and relaxation. If in any doubt about your fitness please consult a doctor before starting an exercise programme. Please note minimum age to use Outlooks Gym is 16.